Dreams.pk engages you to persuade your items to be it mixers blenders, bikes, mobiles or more, on EMI online and cash. On our site, you can purchase Mobile, mixers blenders, electronics and more on easy monthly installments with ease. You can acknowledge installment in Pakistan, paying little respect to where you are or when you require it. 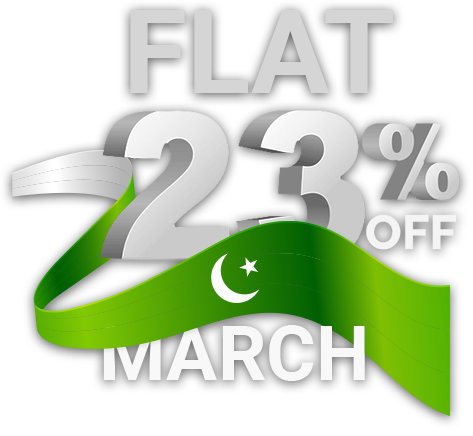 Online installment shopping in Pakistan has never been this straightforward and reachable. This site empowers you to buy on EMI with Zero Down Payment mixers blenders through a secure channel. Nowadays, most of our work has been made altogether less difficult through the help of home appliances for various purposes. Most notable among them is mixers blenders, which helps in mixing and blending of different fruits and vegetables. Mixers blenders has transformed into a need, basic access to them on installments is conceivable on Dreams.pk. This heavenly webpage is by Awais Farooq who is moreover the creator of an online comparison website, Comparebox.pk. Dreams.pk have a colossal collection and variety of mixers blenders from local to foreign brands sold in Pakistan. You say the brand and dreams.pk will have it. Moreover, Dreams.pk is similarly consider among the best destinations that deal with electronics on installments in Pakistan. We offer best rates on cash as appear differently in relation to the rates offer by other online stores in Pakistan. Dreams.pk furthermore empower you to track your solicitations and that too by straightforward advances. Just snap your demand history that appears on our site and watch out for your demand. Our site, Dreams.pk has each sort and brand of mixers blenders. These mixers blenders join the most complicated ones to the simple use ones. This basically suggests our website has each kind of mixer blender you will ever require and these features make Dreams.pk as one of those not a lot of productive online stores that empower all the buyer of Pakistan to buy their mixers blenders both on EMI and cash as indicated by their spending plan. This web based leasing webpage offers reasonable installment plans for mixers blenders on different brands that are speedily open for Pakistani customers. These mixer blender brands available on dreams.pk include Westpoint, Sencor, Cambridge and Kenwood. This infers now anyone can purchase any model of mixer blender on EMI Pakistan on lease and cash. Our site moreover supports you in the buying of expensive mixer blenders in an effortless manner. These mixers blenders can be bought by picking reasonable installment plan according to your financial plan or cash. You can even buy mixers blenders on installments without interest. Here on this website you can get mixers blenders on EMI online and a lot different machines that you requirement for your home anyway can never save enough to make a quick purchase, this webpage will be a help, it will put your home necessities and hold assets to the best use by these eminent installment plans. A prevailing piece of outfits in Pakistan believe that the things they buy on lease or cash from different online stores are not for each situation incredible quality, they’re either an exchange off on quality or are not interesting, however Dreams.pk guarantees this isn’t the circumstance.